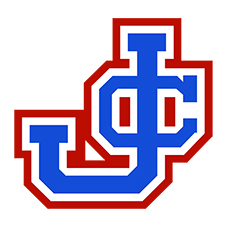 One of nine schools in the Jennings County School Corporation, Jennings County High School has been led by dedicated and passionate administrators since the 1968-69 school year. Still today, we at JCHS view the academic success of the JCHS Panthers as a priority of foremost importance. It is an honor to provide a comprehensive education with extracurricular programs and services that will help our students develop academically, socially, and personally. Each day, each student will be provided with engaging schoolwork that brings him/her into significant contact with rich and important content and intellectual processes. The vision of Jennings County High School is to achieve academic and personal excellence achieved by a collaborative effort of the staff, students, and community. Our improvement plans document the changes and progress our school makes as we continuously improve everything we do. Except on rare occasions, our school day begins at 8:25 a.m. and ends at 3:05 p.m.
And then we’ll change the score!